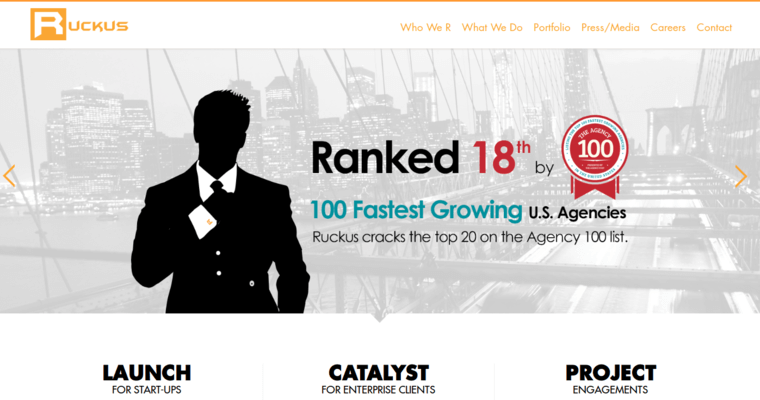 Corporate leaders and entrepreneurs who are passionate about making their organizations as successful as possible should connect with the professionals of Ruckus Marketing. The dynamic experts of this digital firm are skilled in offering diverse marketing services to keep the client's brand growing in the online sphere. As web design and development boffins, the Ruckus Marketing professionals are effective in putting together conspicuously creative, compelling websites with speed and skill. 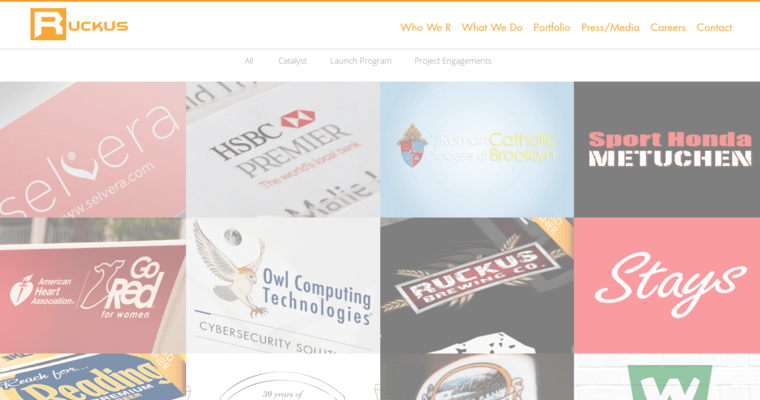 Some of the other services provided by the Ruckus Marketing professionals include: Messaging, Brand Development, Positioning, Logo Mark, Corporate Presence, E-commerce, Mobile/Web Apps, Media, Experiential, Search Engine Optimization, and Lead Generation. 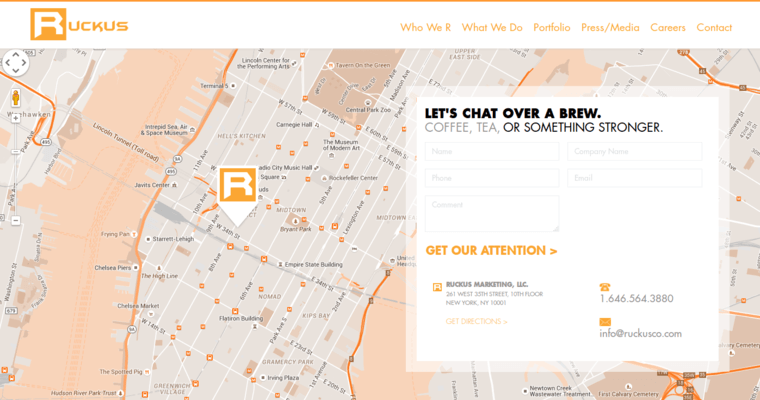 Choose Ruckus Marketing to develop a distinct, dynamic online presence!